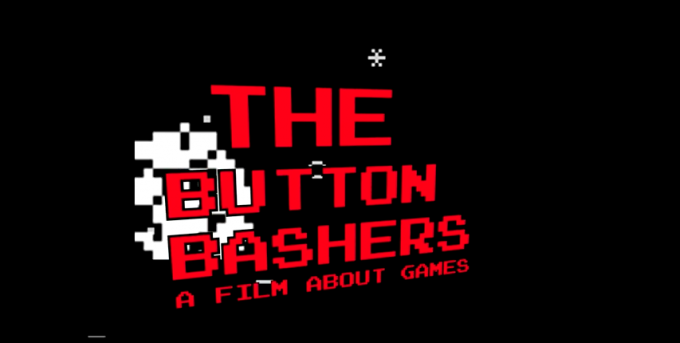 The Button Bashers film is a 100min Feature film tribute to the UK gaming scene that appeared in the 1980s. 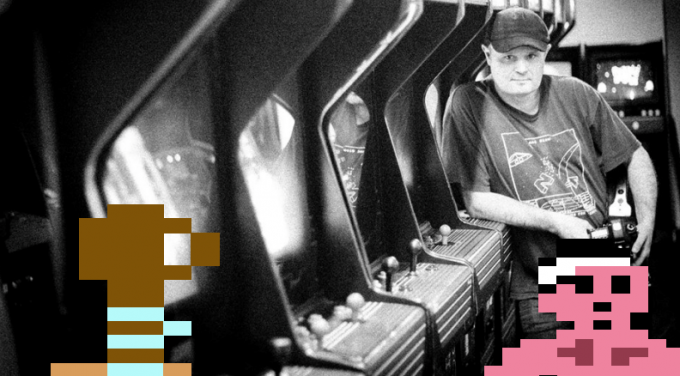 Part Scripted scenes / Part Interview / Docudrama – A Cinematic tribute to those games, the Programmers, The Publishers and the gamers. 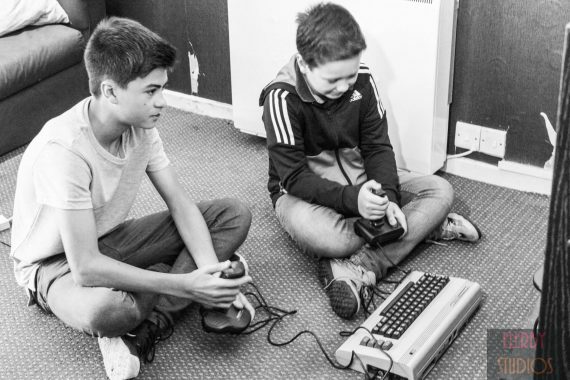 So if you owned a Commodore 64, Sinclair Spectrum, Atari VCS, Amstrad, Vic-20, Apple II, Dragon 32, BBC, Texas Instruments TI99 and even a ZX81 – then this is the film for you. Think the film ’24 hour Party People’…but with games! Yes – I am a retro game fan. I’ve played all the games. All the systems. And today collect the games that I played – and keep playing (There’s a Commodore 64 complete with SD card new interface containing every release) and don’t get me started on the Arcade machine I’ve got! THE BUTTON BASHERS started off as a generic interview film. The Film BEDROOMS TO BILLIONS (You should check that out!) did that so well but was there more stories to tell and make another great film. With our background in film and the talent that surrounds the studio we look at if you could make this cinematic maybe follow a lead throughout the years. These became the segments – that begin in 1982 and finish in 1989. All wrapped around the games that we all played. With Actors playing the leads in each scene you’ll see some great reveals of the Industry never seen before (And No – Clive Sinclair does not appear but is mentioned in some sort of Star Wars’ Emperor guise) – most of all I wanted a look back at the years that molded me, my friends and the heroes that influenced a generation. 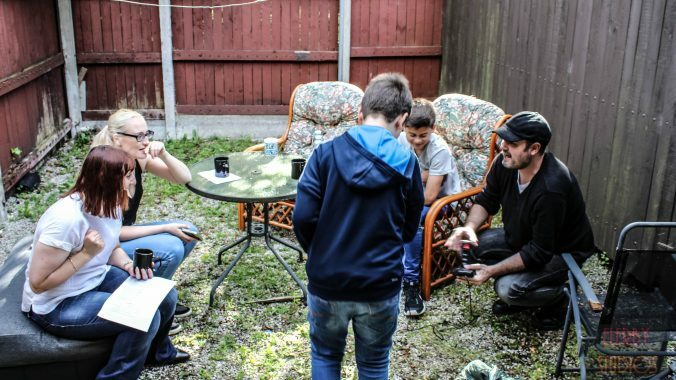 With our INDIEGOGO Campaign we want the film bigger that why the casting is being developed after the Campaign – We have great plans in place! We already have a great cast to be interviewed – who you will geek out with and at – and already a great film to develop – and its going to be fun! The Button Bashers is a docudrama. That is it follows the interviews as told by the interviewees and scenes are recreated – so its not a documentary yet its truthful to the source. ‘Bedrooms to Billions’ cover that era very well yet we want to make a cinematic film. We have some amazing actors involved including Ewen Macintosh as ‘The Programmer’ (The Office, Little Britain). The film starts in 1982 as we see the gaming industry evolve and increase – and it includes a lots of games you will remember. You’ll see the interviews and these will be intercut with these memories, the companies and the gamers. We know it will bring back a lot of memories. Its going to be very much like ’24hr Party People’ like a fly on the wall. Imagine seeing two 12 year olds reading ‘Crash’ magazine, Playing ‘Hypersports’ and fighting over ColourClash – its insane. Its going to brave with some VFX work so the players are in the game – I cant wait! I grew up with these people as my idols. For investors of the Indiegogo campaign they get to see it in April 2017 so its going to be a busy time at the studio. For everyone else its Summer 2017 with exclusive showings across the UK and beyond as well as the DVD / Amazon release slightly later. We have shot so many different types of films – music videos – shorts – docs and I have always been a filmmaker. The Studio was set up around 6 years ago but I have been working in film since I was 18. Since then I have worked on a lot of various stuff over the years in front and behind the camera. I am a director but sometimes needs time out and like to do some featured extra work on some big TV shows and films. I loved filming on Peaky Blinders. Last year I worked on Tim Burton’s Miss Peregrines home for Peculiar children – which was the best experience – and the Harry Potter Prequel, Fantastic Beasts and Where To Find Them. I am going to mention a few – Combat (Atari 2600), Drop-zone (C64), Sheriff (Nintendo/Arcade), Star Wars (Atari/Arcade), Commando (Capcom/Arcade), Wizball (C64), Manic Miner (Spectrum) – God I could go on and on. I remember being so upset with the Commodore 64 version of Cobra. The Spectrum version was a bloody great game with lots of action, akin to a Green beret clone. The C64 game was pants. Although the soundtrack was great and one of my favs. I love reading about the emulators themselves. I loved that years ago when MAME first came out (we are talking around 1996 if I can remember) and thinking how amazing these programmers were to trick my PC to play arcade games.